Rent Unit 10 - 2316 sq. Ft. - £326.93 per week (exclusive) - £17,000 per annum (exclusive). 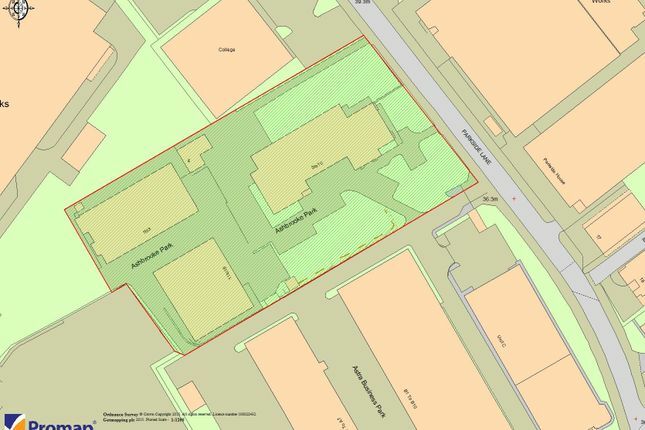 Ashbrooke Park (Parkside Lane, Leeds LS11) forms part of the highly-established Parkside Industrial Estate, well located off Dewsbury Road, close to the City Centre. The estate is situated close to Junction 5 of the M621 motorway and therefore offers excellent transport links to both the regional (M62) and national (M1 & A1) motorway network. The estate also offers excellent public transport links into Leeds City Centre by being a mere minute`s walk from the Dewsbury Road Bus Corridor. Ashbrooke Park is a complex of recently refurbished industrial/warehouse and office units, situated in a secure compound area with ample parking available for all units. The estate also benefits from full CCTV coverage throughout. This self-contained unit comprises an open plan office area, with further partitioned offices & meeting rooms. The property also benefits from kitchen and WC facilities. The unit is available on the basis of a new full repairing and insuring lease for a period of years to be agreed on flexible terms. Unit 10 - 2316 sq. Ft. - £326.93 per week (exclusive) - £17,000 per annum (exclusive). For further information and availability, please contact us. Property descriptions and related information displayed on this page are marketing materials provided by Sheffield and Regional Properties. Zoopla does not warrant or accept any responsibility for the accuracy or completeness of the property descriptions or related information provided here and they do not constitute property particulars. Please contact Sheffield and Regional Properties for full details and further information.